of movement through the whole animal. 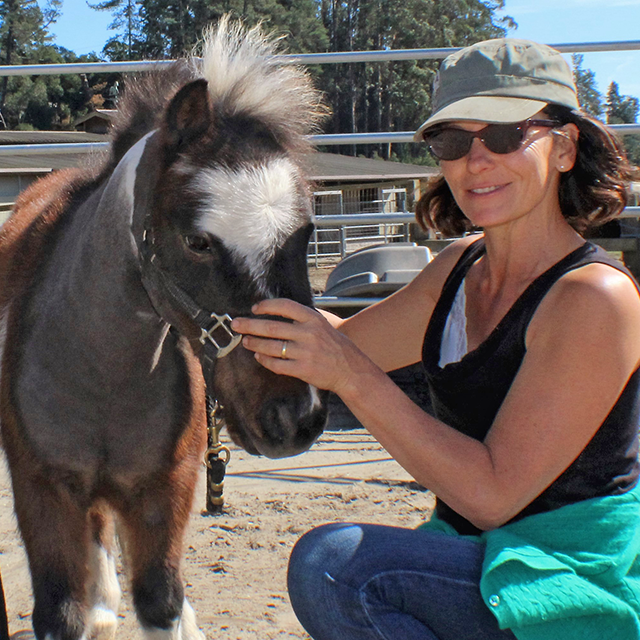 Like us, animals develop habitual movement patterns arising from life experiences. Injury, trauma, poor self-use, and aging can cause compensatory movement patterns that restrict function. In addition, tissues can thicken into adhesions, interfering with proper function of joints and disrupting freedom of movement. 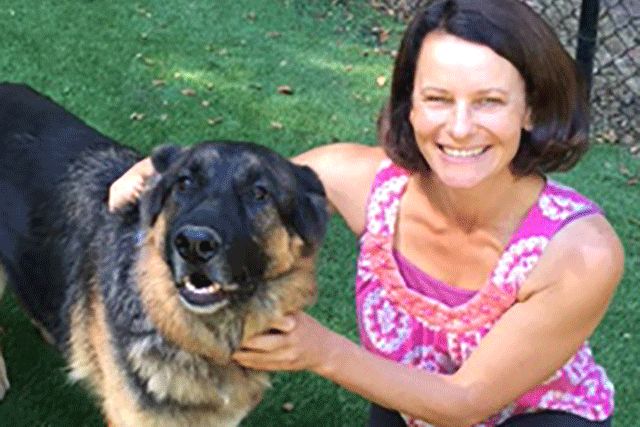 A Feldenkrais inspired session is tailored to the needs of each individual animal; through it one can establish, restore, or greatly improve movement. 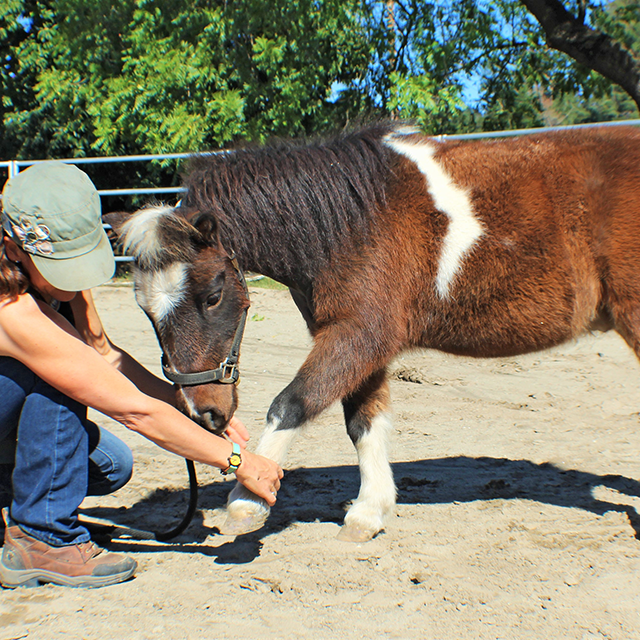 A session includes gentle, hands-on educational guidance. The nervous system recognizes efficient, enjoyable, and interesting movement patterns, and, when given more options, can release years of held tension in an instant. This results in an expanded repertoire of movements and new patterns of moving and feeling emerge. 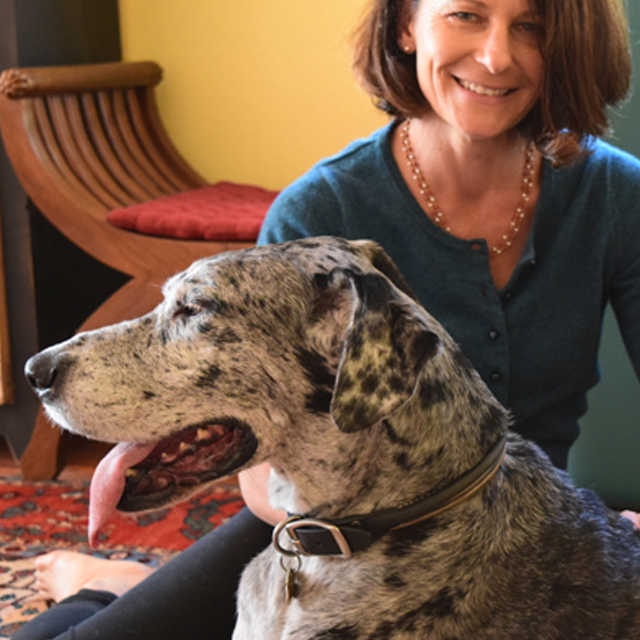 The Feldenkrais Method looks at the transmission of movement through the whole animal. Other modalities tend to isolate and focus on specific muscles for strengthening. 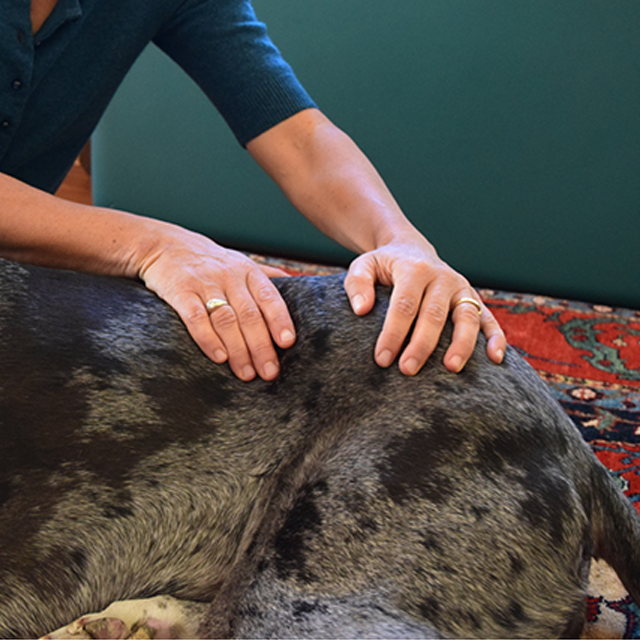 Feldenkrais looks to distribute movement through the whole animal and eliminate unnecessary tension and effort. As a result, the animal experiences improved body awareness, orientation, athletic performance, and confidence. 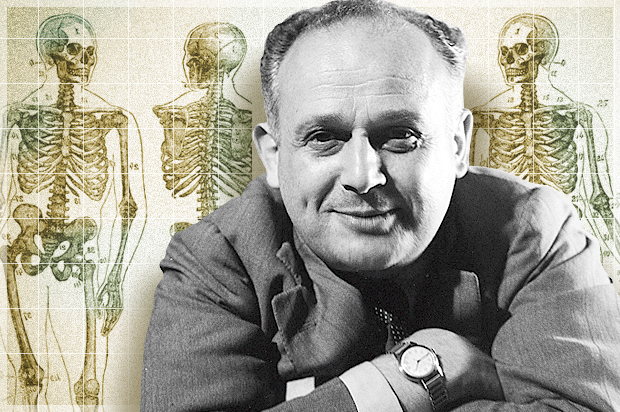 Feldenkrais practitioners do not adjust or manipulate the bones into place. They simply offer possibilities, through movement, to the nervous system, and the brain makes the choice. Feldenkrais is more about movement then position or posture. 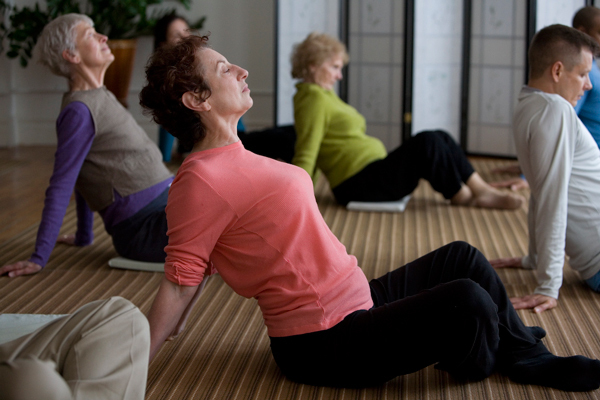 Feldenkrais focuses on coordination of movement—it is less strength-based and more efficiency-based. 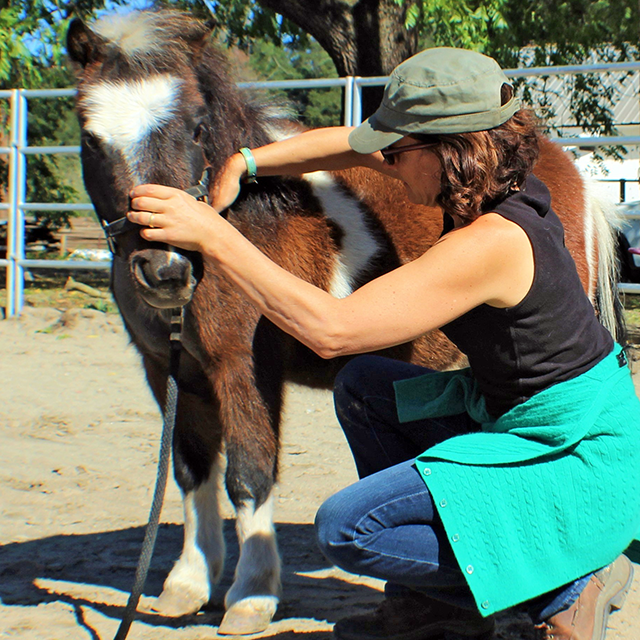 Jill also incorporates Craniosacral techniques into her sessions with animals. 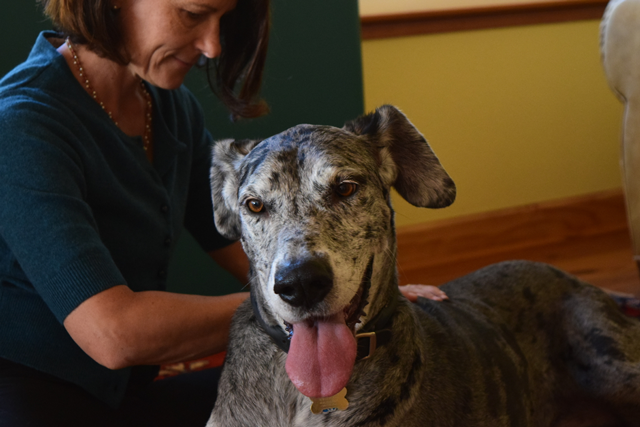 In a Craniosacral session, Jill uses gentle manipulation of the central nervous system. A session involves tuning into the craniosacral rhythm. The practitioner gently works through the spine, skull and cranial sutures, diaphragm, and fascia. Craniosacral techniques focus on bringing balance throughout the skeletal and muscular systems with specific focus on the individual bones of the skull, spine and sacrum. 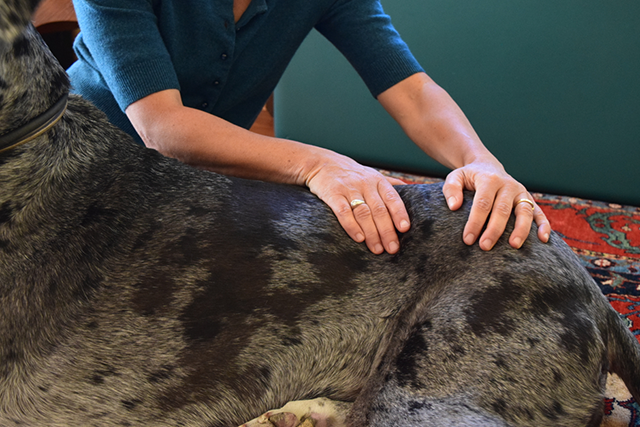 As a modality, it offers an excellent and effective alternative to more conventional therapies such as massage and physiotherapy, especially for nervous and anxious horses and dogs. 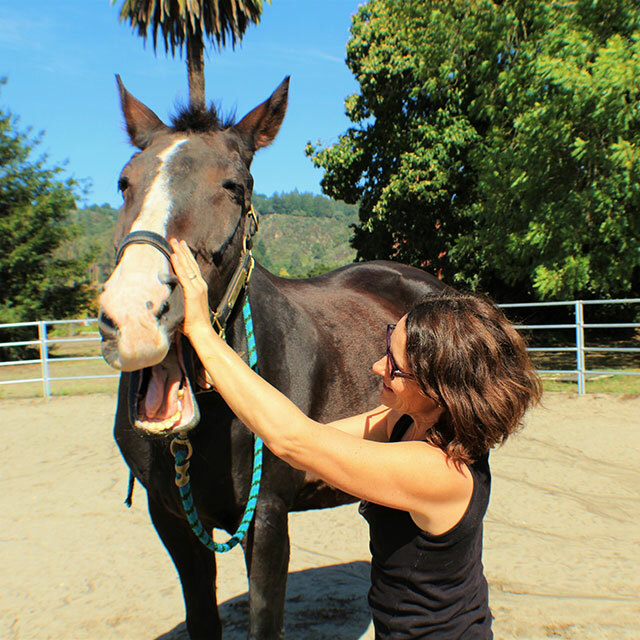 is the part of the horse’s nervous system that tells the horse where its feet are in space. 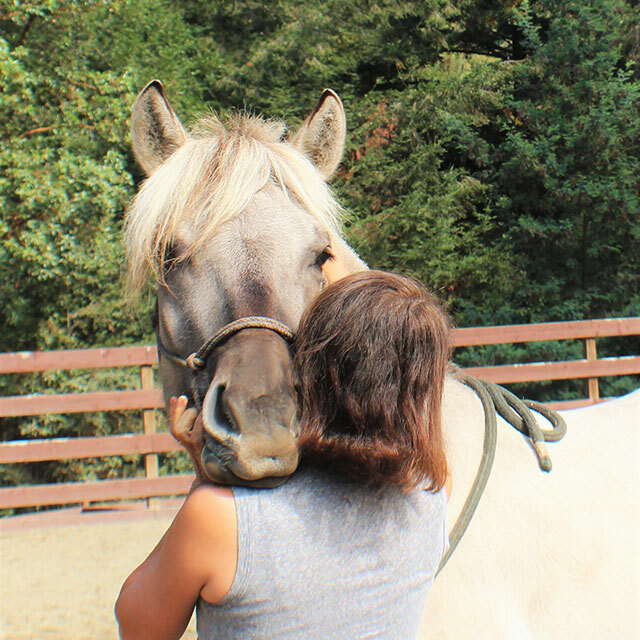 How a horse interacts with gravity is important in maintaining optimal health and activity levels. 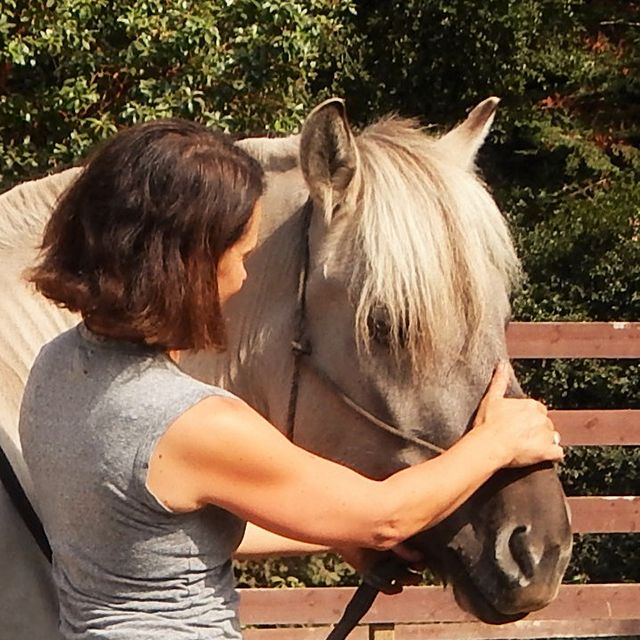 As the horse develops more movement options, it’s orientation in space and sense of self improves. As sessions progress, the horse’s balance becomes refined and healthy and efficient patterns of movement emerge naturally. 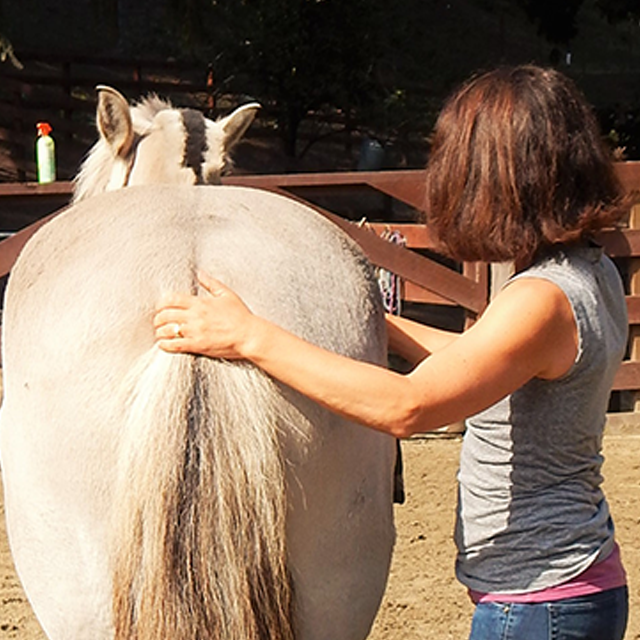 Rather than working to correct errors, right wrongs, or straighten the horse out, the Feldenkrais Method looks to provide the horse with as many movement options as possible so that the horse becomes “freed up” and begins to use more of its whole self in movement. 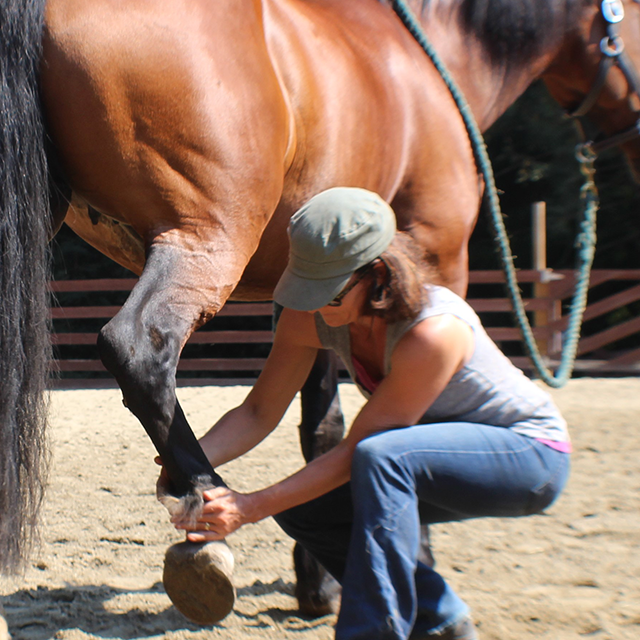 The horse naturally becomes more supple and fluid in its movement. 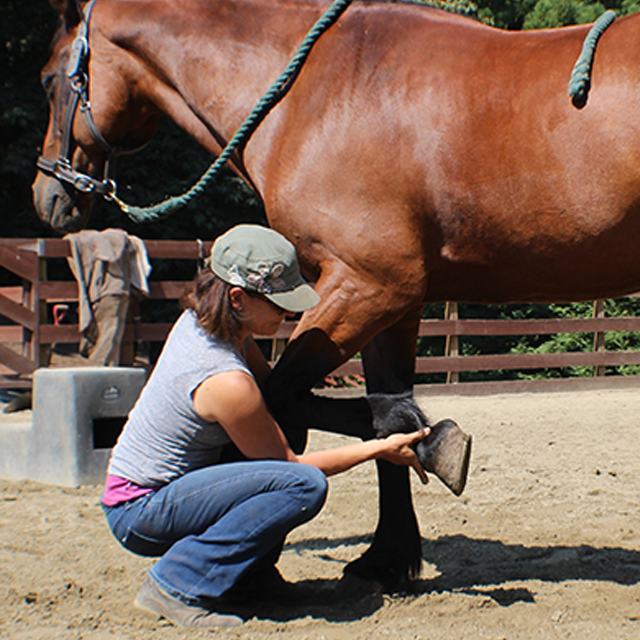 Additionally, the more options a horse has in its movement repertoire, the less likely it is to wear out its joints. 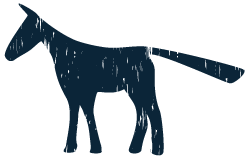 The horse that is ambidextrous will show the least tendency to asymmetry and will also be a more athletic animal. 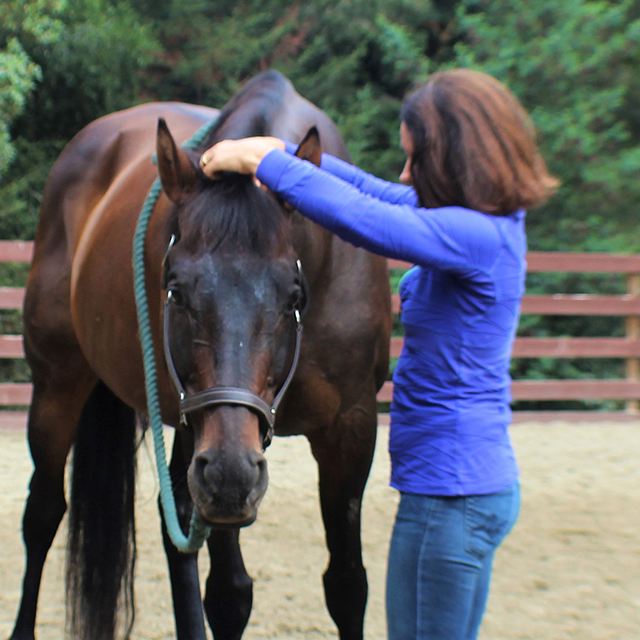 As movement improves and habitual patterns unwind, including unnecessary muscle tension, layers of tissue begin to glide effortlessly over one another, both the range and quality of the horse’s movement improves. 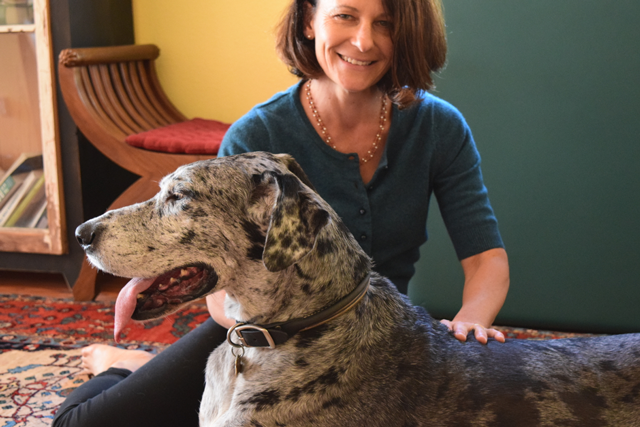 The Feldenkrais Method is not massage or traditional “body work,” rather, Feldenkrais addresses how the nervous system organizes and interprets sensory motor experiences. Sensory integration provides an important foundation for learning and behavior. At its very core, the Feldenkrais Method is about learning. 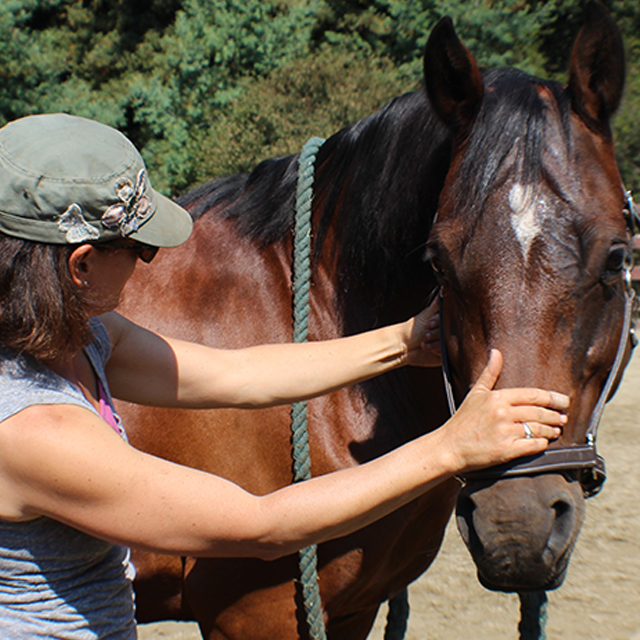 This subtle approach is specifically tailored to work with the innate homeostatic/self correcting reflexes within the horse, including the postural centers of the brain and neural pathways. 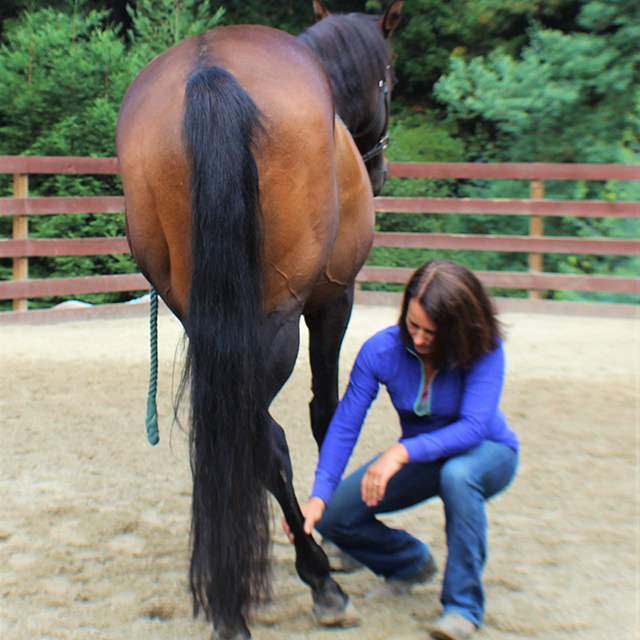 By appropriately stimulating these areas it is possible to help your horse fundamentally change patterns of tension within its muscular-skeletal system. This allows not just a release of tension, but also a permanent change in postural balance, which improves movement. 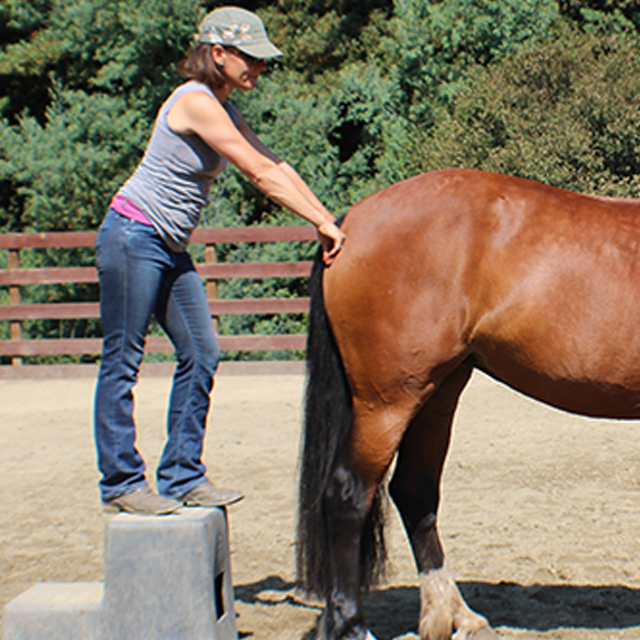 This improved balance not only improves the horse’s movement potential but also improves physiological function and psychological issues. Fatigue is one of the main causes of sports injury in horses. 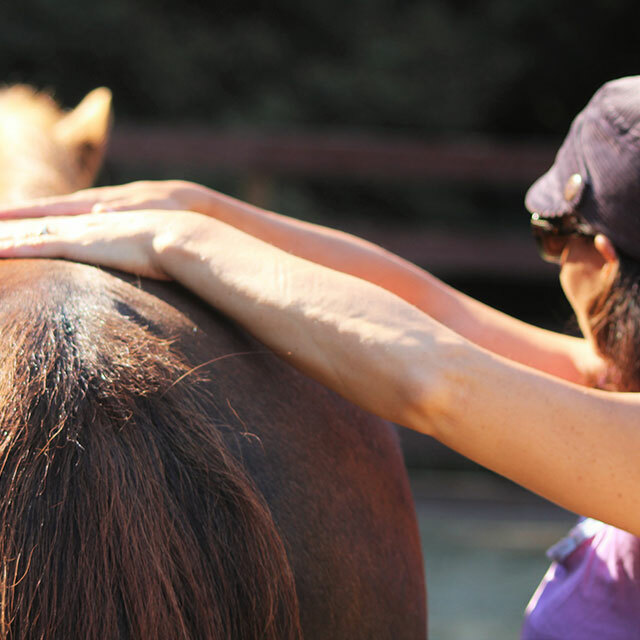 If your horse’s nervous system is in top condition it will be able to react quickly and protect the horse from harm.